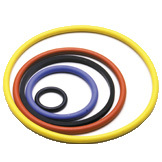 Stocked and ready in Nitrile, Viton™ and Hydrogenated Nitrile . 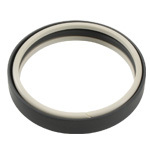 Hi-Tech Seals stocks one of Canada’s largest inventories of lip seals. 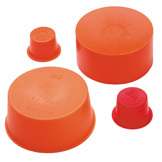 Our u-cups are available in loaded u-cup style, homogeneous rubber and urethane-unloaded style. 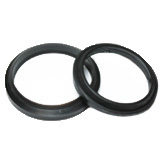 U-cups are available in Nitrile, Neoprene, Hydrogenated Nitrile, Polyurethane and Viton™/fluorocarbon. Available in DT, AN, K, H, Stepped H, Metal encased styles and Pin Eye. 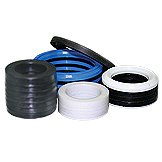 Caps and plugs prevent damage to your applications threads during shipping and storage. 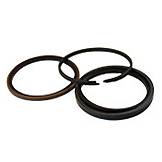 Hi-Tech Seals stocks various imperial and metric snap rings in materials such as Stainless Steel, Carbon Steel, and Berylium Copper. 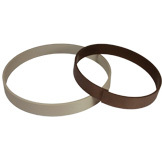 These are available in various styles such as eyelet or spiral. 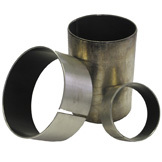 Bushings are available in DU bushing style. 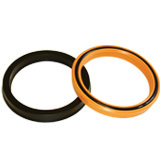 T-Seals are a double acting seal capable of retrofitting standard O-rings grooves. 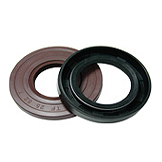 Functions as a secondary seal lip and an excluder for contaminants on rotary shafts. 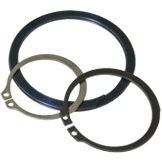 Used in hydraulic and pneumatic cylinders applications.